Here at Claytech Media, we specialize web design and building stunning websites, built for your customers. We can also get your business on the front page of popular search engines such as Google and Bing. A modern, easy-to-use website is the cornerstone of any business. Your company's website needs to be mobile-ready and easy to navigate, and should always be to the point. Does your company need a website? Are you looking to expand your venture to the internet? We can help you bring your business into the 21st century. 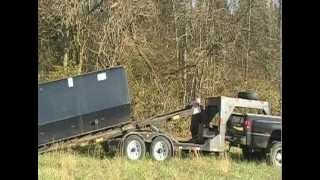 Started in late 1982, Jaros Container Service has been delivering dumpsters in the Dayton, Ohio area for years. We thoroughly enjoyed working on this project and we continue to add to it! Working with Cochran & Associates was a pleasure. Based in Richmond, Indiana, Cochran & Associates offers tax preparation services, payroll services, and accounting services. Immaculate Cleaning Experts provides excellent cleaning services at reasonable prices!